HOUSTON (KTRK) -- The Astros are ready to rumble with the Kansas City Royals in game three of the American League Division Series Sunday afternoon at Minute Maid Park. The series is tied at one game apiece. Dallas Keuchel, a 20-game winner, will be on the mound for the Astros. Keuchel is 15-0 this season at home. Astros Manager A.J. Hinch is expecting more of the same from Keuchel in front of a sellout crowd. "I do know that going into tomorrow, I like that record," Hinch added. 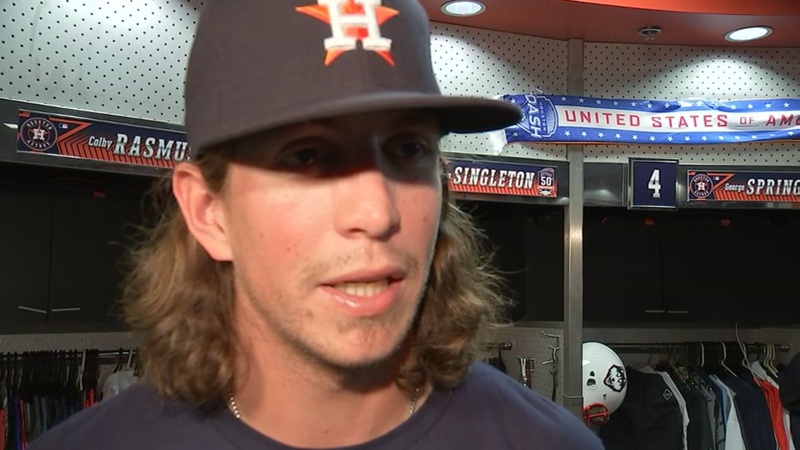 Meanwhile, Colby Rasmus always tells us something interesting and a little bit different. Riding a record hot streak at the plate Rasmus gave all the credit to his wife and his 5-year-old daughter. Today takes the cake. Riding a record hot streak at the plate Rasmus gave all the credit to his wife and his 5-year-old daughter. Sunday's game time is set for 3pm.